There are many different lighting options for outside of a home today. Some people prefer landscape lighting that is installed in the ground. Other people rely on simple candles on a table. A more unique option is a candelabra made from wrought iron. The candelabra is designed to be used outdoors in any type of weather. An outdoor hanging candelabra can make any area more attractive in several ways. The candelabra holds real candles that will shed light from above guests and not from below like candles on a table. This will create a very distinctive type of outdoor light that is warm, inviting, and natural. It can make any event or evening special for everyone in the area. A candelabra can also create a large amount of light since it can hold multiple candles at once. There might not be enough space on the ground or on countertops for different lighting options especially when the area is filled with furniture or outdoor serving equipment. An outdoor hanging candelabra allows homeowners to take advantage of vertical space. The candelabra can be hung from a porch, a stable awning or even a tall plant hanger staked into the ground. This keeps the fixture out of the way when entertaining people in a crowded space. It also keeps burning candles away from children and pets. Wrought iron candelabras are much easier to maintain than other options. They do not need to be taken inside during colder months. They do not need to be refinished every season like wood. They do not rot or warp because of heat and humidity. The candelabra can be hung in a sheltered location and left outside throughout the year. The wrought iron will remain attractive or will develop a patina. 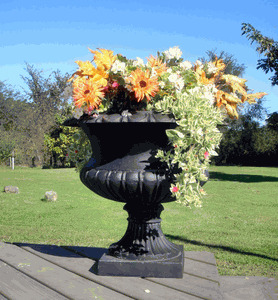 This can complement other items made from wrought iron on the porch or in the yard. When considering what to do with a front or back yard that is already trimmed and tidy, it is a good idea to consider adding yard art animals to add that country farm feel to a home. The right yard animal selection can be a slight complement to any garden or complete a whole scene on a front yard. Tossing in an accent piece such as a gnome, tree, or metal wagon can work with a yard animal to really make a garden shine. After deciding that a yard animal is the right choice, the next step becomes choosing the yard art animal that is right for the situation. Ranging from birds to farm animals to other accent pieces, there are many options for any garden or yard. Examining the yard as a canvas becomes integral towards making sure that the right animal is purchased and will fit in correctly. If the situation calls for it, multiple yard art animals can be helpful in getting just the right feel for any yard or garden. Different sizes and heights are available to ensure that the yard animal fits in correctly with a particular arrangement. Alternatively, it is also an option to start with a yard animal and then build the yard or garden around it. Many yard animals and other pieces can complement each other, which forms an excellent base model to form the rest of the garden around. It is entirely possible to pick out a small set of yard pieces and grow around them, producing a scene that looks entirely organic. No matter how the yard animal is used, it has the potential to make a good garden or yard even better. In addition, many yard animals are made from recycled metal. Handmade, affordable and quite durable, they are worth considering for many different homes. The only thing that can make a lush blooming garden even more beautiful is elegant fencing and edging options. Gardens are often vulnerable to damage from animals and thoughtless people. With the right complement of garden fencing edging, a gardener can frame his lush, living artwork while protecting it from harm. Creating a lovely garden takes so much planning and effort that anything less than the perfect edging will detract from the garden's beauty. 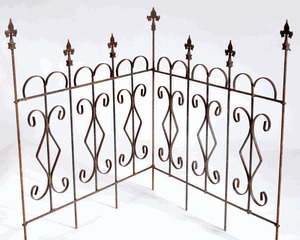 Metal border edging fence can be simple and elegant or more ornate. For instance, a timeless wrought iron sunburst pattern or a New Orleans fence adds simple lines and beauty to an outdoor haven without overwhelming the natural attraction of the plants. For a more intricate design, gardeners may choose a daisy fence or a fleur de lis pattern. Some wrought iron fencing comes in different colors, lending an informal, inviting vibe to a garden. Light-hearted patterns such as flower and heart patterns add a note of whimsy to the outdoor space. Gardeners and landscapers should feel free to experiment with different styles and materials. Of course, the garden fencing edging is not just for looks. It serves a very practical purpose of protecting the flowers and other plants from animals, children, and inattentive adults. This fencing comes in heights of approximately two to six feet to meet the individual needs of each gardener. Lovely gardens and landscaping add so much to the appearance of a home. Protecting that outdoor space is essential but should be done with fine wrought iron fencing. A quality product will offer protection that enhances the look of gardens. An unfortunate choice of fencing and edging can ruin what the landscaper or gardener has worked so hard to build. Choosing just the right product can make all the difference in assuring the aesthetics of the outdoors. For those looking to dress up their home with rustic and shabby chic pieces, there are vintage cupboards for sale that add character to the interior design of the property. 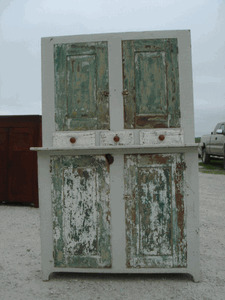 Customers can enjoy a wide selection of unique pieces that are each one of a kind and offer a bit of character to each room. The style not only looks classy, but offers a timeless look that will stand out for its natural beauty and design. Vintage cupboards add a country theme to the space for a cozy touch that creates a warm environment and can be set apart for a unique and valuable furniture item. Each piece not only adds a decorative element in the home, but can also be used as extra storage space to hold dinnerware, food products, wine, and even collector items. No two items are the same, making for a beautiful piece that has its own history and personal touches that are difficult to replicate. Antique items often stand the test of time with their durability due to the high quality of materials that were originally used to craft the piece. The heavy product and heavy wood used makes for beautiful pieces that can be enjoyed for several decades in the home and even passed down to children for an heirloom that can be treasured by those in the family. Several of the items date back to the 1800's, making for a unique style and design that will continue to look beautiful in the home and can increase in value. Each piece is a true investment that can prove to pay off at a later date with appreciation. Although many different companies and brands try to replicate the look and style of antique furniture pieces, it's difficult to manufacture an item that is hundreds of years old and has unique markings and a beautiful design. The antiques sold each look high-end as opposed to modern pieces and also make for beautiful additions that are great conversation starters. Whether using the furniture for an entertainment center, coat rack, or as an additional pantry, it will prove to be an invaluable addition to the home. Giving a garden a charming, rustic and inviting look can be accomplished with a few eye-catching pieces of art, such as Metal Garden Yard Art Balls Spheres. 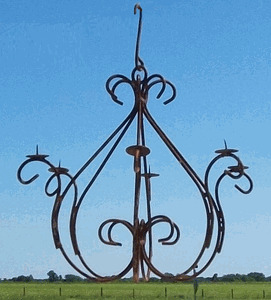 These unique wrought iron artworks can be used as trellises for plants. Covered with topiary or left just as they are, the spheres add a unique touch. Used with these charming decorations, topiary enhances a garden and adds a bit of whimsy, drama, history or charm. 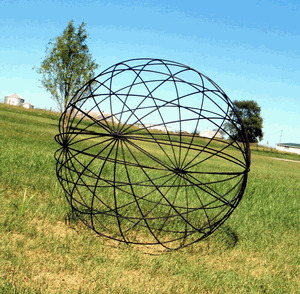 Used as yard sculpture, the spheres can be set on stands, also comprised of wrought iron, to add a dramatic look. Available in sizes that range from a diameter or 5 inches to a striking 8 feet, the wrought iron sphere can be left with its rustic finish or coated with a clear varnish. They also are available in vintage brown, vintage green, black or antique white. Gardens come alive with a rustic ambiance that these spheres provide, and the look of historic gardens is part of their utilization. Moreover, such larger structures add drama and a dreamy touch of magic to the garden, enhancing its relaxing and renewing ambiance and making it the place to sit and meditate in nature. The smaller spheres can be hung from a tree with lights inside, making a beautiful statement during the holidays. Several, hung at different heights, invite one into a magical setting. Spheres can be also be combined with their different sizes, adding to the sculptural art effect. The use of these decorative garden enhancements are varied and, with the range of sizes available, can be used to create an enchanting rustic garden that welcomes one home and delights guests. Fencing is a useful tool that can be used for many different jobs around any home or business. The main purpose of a fence has historically been to keep things in or out and to designate property lines. These situations still apply today but fencing has taken on a whole new level of importance because of the character they add to a home. One of the most important things a home owner can do to increase their property value is to add an old fashioned yard ornamental wire fence to the exterior of a home. This particular fence brings back the bygone days when life was easier and everything moved at a slower pace. It is easy to add a special touch of nostalgia with a great fence that is designed to make any house feel like home. 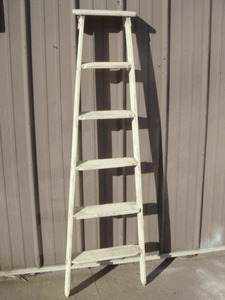 This rugged fence is available in a variety of heights to fit any need including 36”, 42”, and 48”. It is sold in 25’ to 100’ lengths, which allows people the opportunity to buy their fence in accordance to the space. The old fashioned yard ornamental wire fencing is made of extra heavy galvanized wire that will stand up against the toughest of weather conditions without rusting or discoloration. The gray color looks good with any décor or paint choices and does not distract from the rest of the home. The main purpose of a fence is to give property owners a sense of privacy, and the ornamental wire fencing is made for that. Its tight woven construction limits the size of objects that can fit through the openings, which makes it the perfect option for garden and play areas. Fencing is necessary for protecting areas where children and pets spend time outdoors. The scroll top is a classic look that is sure to add an aesthetic element to any home or business that reflects that special country feeling even within the city. Now is the time to get long lasting old fashioned yard ornamental wire fencing that looks great while offering the protection that the family needs for their everyday activities.